Business Administration – Management, B.S. A Bachelor of Science in Business Administration concentrating in management will prepare you for all aspects of business, including marketing, human resources, accounting, economics and technology. Our hands-on, real-world approach will develop your leadership, critical-thinking, communication and interpersonal skills so you can lead teams effectively and contribute to your organization’s success. Business managers plan, organize, lead and control an organization’s activities. This requires a great deal of interaction with employees to solve problems. These professionals are relied upon to analyze data, increase efficiency and make decisions. It is vital that managers know their products, customers and competitors to succeed in competitive environments. With an Indiana Tech management degree, you will be able to drive organizational success and stand out among your rivals. Our tech-savvy instruction will teach you how to utilize technology in ways that add value to customers and employers. Our management program combines a business core with a liberal arts foundation to help you develop into a well-rounded business professional. You will learn how to incorporate research, data and analysis into metrics-driven decision-making. instructors who possess years of experience in their respective fields. Professor Allwein’s background includes extensive private and non-profit sector experience in operations management, finance, administration and sales, in addition to over 19 years of experience in teaching at the university level. 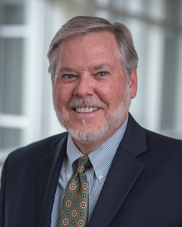 His professional certifications include Certified Employees’ Rights & Responsibilities Professional (CERRP), Certified Workers Compensation Professional (CWCP) and Certified Human Resource Specialist (CHRS).